This accommodation cannot yet be booked on SleepOut.com. 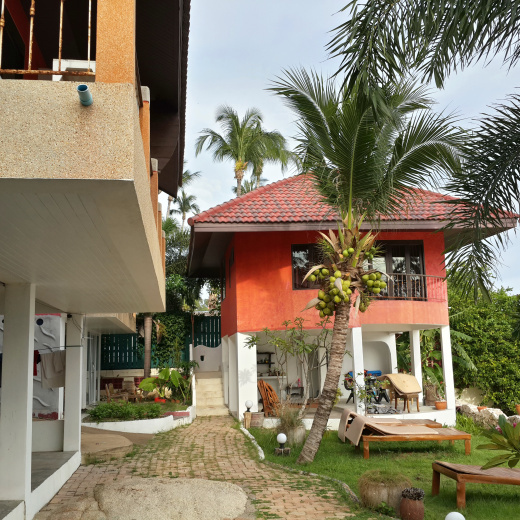 Find more accommodation options in Lamai. Standard room on ground floor with seaview. 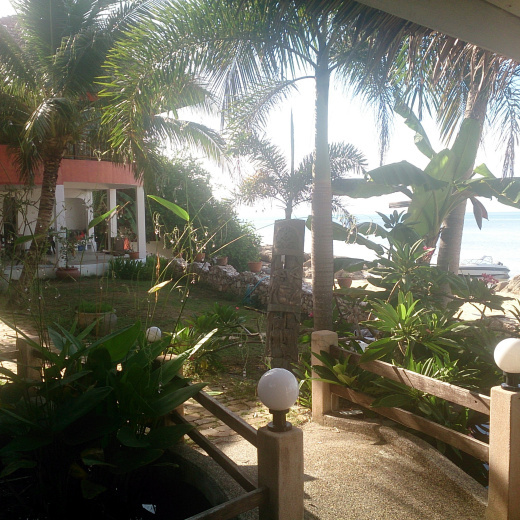 Private owned small beach side resort located between Lamai and Hua Thanon. Our resort features a tropical garden with a koi fish pond and mini waterfall. We also have a bar serving alcohol and there's a select entertainment at night such as fire-shows and barbecue. Note that the building is situated beside the ring road, so there may be some noise from the traffic. But on the plus side, you will be easily able to find transportation around the island. We have our private boat for your fishing or diving trip to neighbouring islands. For a fee, we can also arrange water jet-pack, kayaking, kite-surfing, jetski, snorkelling & diving equipment.